One of shops to start carrying our patterns in 2013 is Merry’s Stitchins in Jesup, Iowa. She has bright, open shop and a wonderful retreat area on her property. 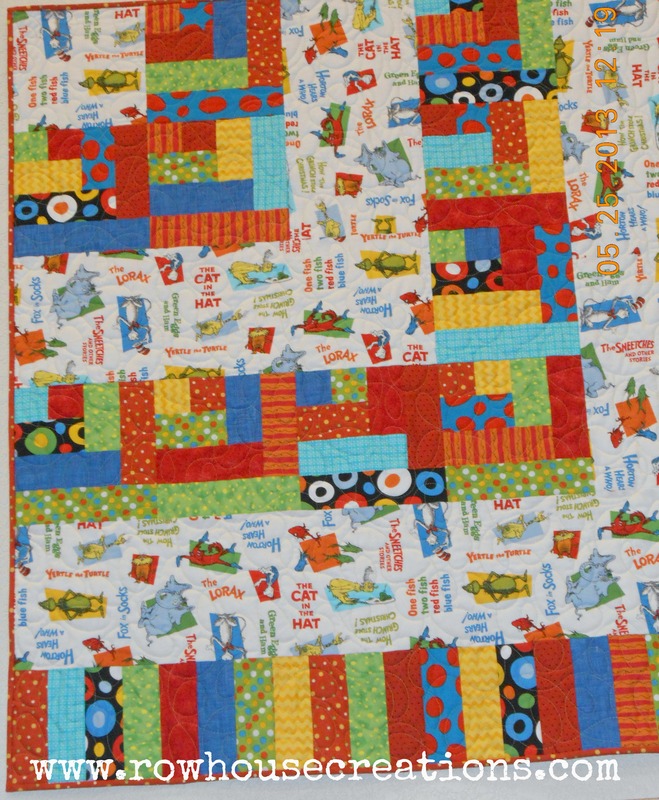 She also has an adorable version of our One Big Cabin quilt made up without applique, utilizing the newest Dr. Seuss fabric line from Robert Kaufman. One Big Cabin uses half of a jelly roll, and a just a small amount of yardage. What a cute idea for a baby boy… this would be a quick, cheery gift to whip up for that next baby shower!